DISASTERS HAVE BECOME AN ALL TOO FAMILIAR OCCURRENCE IN OUR COMMUNITIES. 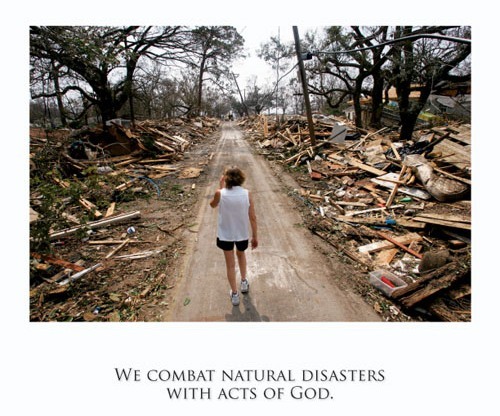 Whether natural or man-made, they leave a wake of devastation for those involved. 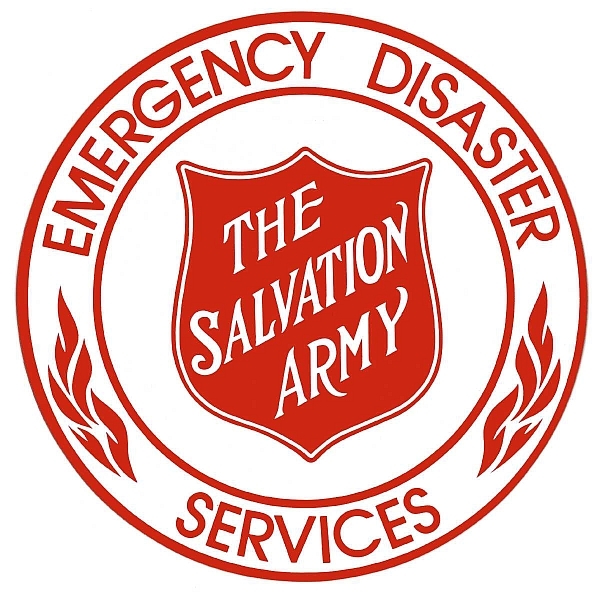 The Salvation Army Emergency Disaster Services program (EDS) seeks to provide physical, emotional and spiritual comfort in times of disaster. Our disaster volunteers are trained to assist in all kinds of emergencies by providing food, clothing, shelter or financial resources to those affected by such calamity. Most commonly known for our mobile feeding units known as "Canteens", these units are welcome sights to firemen, policemen, and survivors alike, serving hot and cold drinks, snacks and complete meals. The Salvation Army provides emergency assistance in lieu of or in conjunction with many community and government agencies such as the American Red Cross and FEMA to provide the best possible services to those in need. 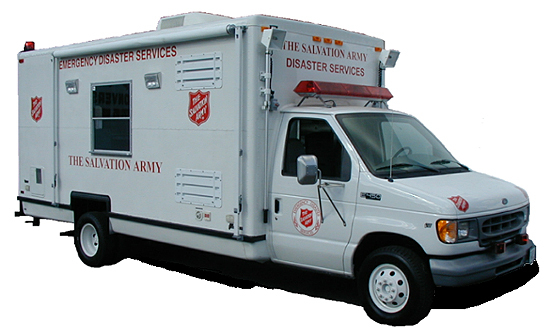 In the event of a large scale or national disaster, The Salvation Army sends pre-trained, pre-approved volunteers to the disaster site for a two-week deployment, which includes 12 full working days and approximately 2 travel days. Operational needs normally include, but are not limited to the services found above. Travel, lodging and meal costs are generally provided by The Salvation Army for approved volunteers able to deploy for the entire 2 week period. Volunteers typically live in temporary lodging which may be as rudimentary as tented-housing, or could be hotel lodging with shared, double-occupancy rooms. Volunteers who have received proper training in advance, receive priority when requesting to be sent to the disaster to respond in a prompt, efficient and effective manner. The mobile emergency disaster canteen (mobile kitchen) provides food and beverages to victims and relief workers involved in crisis situations. Volunteers could be called at any time of the day or night, and must respond quickly. The canteen is sent to the scene of an accident, fire, or disaster and stays as long as required. Pastoral care teams respond as needed providing grief-crisis counseling and pastoral care to both emergency workers and victims alike. This group of volunteers responds with the canteen to special events such as fundraisers, parades, community events, and evangelistic outreaches.